Éamonn was editor of the online magazine Beo! from its establishment in 2001 until September 2007. He was also a director of Sult Ltd, the company which ran an Irish language club, Sult, in Dublin city centre between 1999 and 2007. 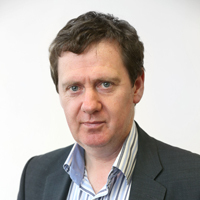 Éamonn was on the founding committee of Raidió na Life, the Dublin-based Irish language community station which was established in 1992, and he spent several years broadcasting with the station on a voluntary basis. He has been language co-ordinator of two television series aimed at learners: Turas Teanga, which was broadcast by RTÉ in 2004, and Now You’re Talking, which was shown on BBC and RTÉ in 1995. He also wrote the books which accompanied those two series. Éamonn’s latest books are Gaeilge gan Stró! – Beginners Level (2010), Gaeilge gan Stró! – Lower Intermediate Level (2009) and Gramadach gan Stró! (2008/2011) (www.siopa.ie). In 2010, Gaelchultúr published QuickGuide Irish Grammar, a glance card which Éamonn wrote with his colleague Helen Hegarty. Darren Ó Rodaigh is originally from Bray, Co. Wicklow. After the Leaving Certificate, he spent a year working with the Irish language organisation Coláiste na bhFiann. He graduated with honours in Finance, Computing and Entrepreneurship from Fiontar, Dublin City University. 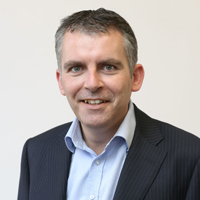 Darren and fellow student Eoin Ó Ceallacháin set up the company zamano in the year 2000. zamano PLC (AIM:ZMNO, IEX:ZAZ) is now listed on the Irish and UK stock exchanges.